When thinking of festivals you may think of summer, music, and friends, but there is so much more to these incredible experiences. However, people all around the world have been celebrating for centuries. These may just be some events that make you want to book those flights to experience their unforgettable atmosphere. 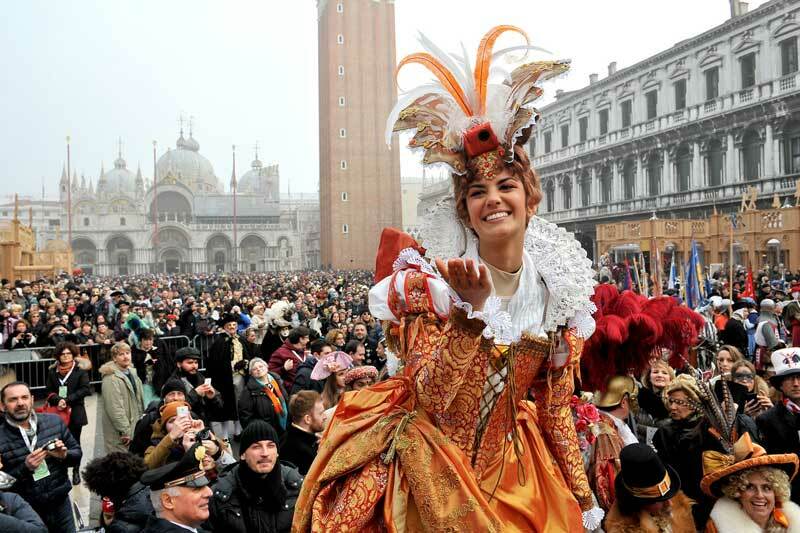 It is unclear as to the origins of this festival, but it’s thought that the Carnevale di Venezia first appeared sometime in the 11th or 12th century. The festival has been an annual feature of Venice since 1979. The entire city is transformed for nearly a month anywhere from January to March and entertains around 3 million people a year. The entertainment changes with each year that passes, such as the city being transformed into a giant circus or gondolas featuring intricately dressed characters. However, there is always the overrunning historical theme that featured thousands of locals dressed in masks and old-fashioned clothing. It may not be as well known as other festivals around the world, but it’s definitely not one to miss. Here we have a festival that is perfect for any drink lover out there looking to take a trip into the depths of Europe. Oktoberfest sees Munich transformed into an entirely different world as the city is taken over for two weeks in September and October. As well as traditional German outfits, visitors will also get to enjoy the incredible number of local beers that are on offer. Oktoberfest all began in 1810 to celebrate the marriage of two royals and has since grown to attract around 6 million visitors a year. To top it all off, there is a huge parade to open the festival, as well as being home to many fairground rides, a selection of food stalls, and a choice of various bands to listen to. Mardi Gras is one of the most famous festivals on offer in America. The festival has been in New Orleans since 1718 after it was established by a secret society a few years before. The society would use masks to keep their identities a secret and over the next 100 years started incorporating floats into the parade. Now, Mardi Gras is celebrated annually on Shrove Tuesday with the parade still incorporating many of the parade’s original features. 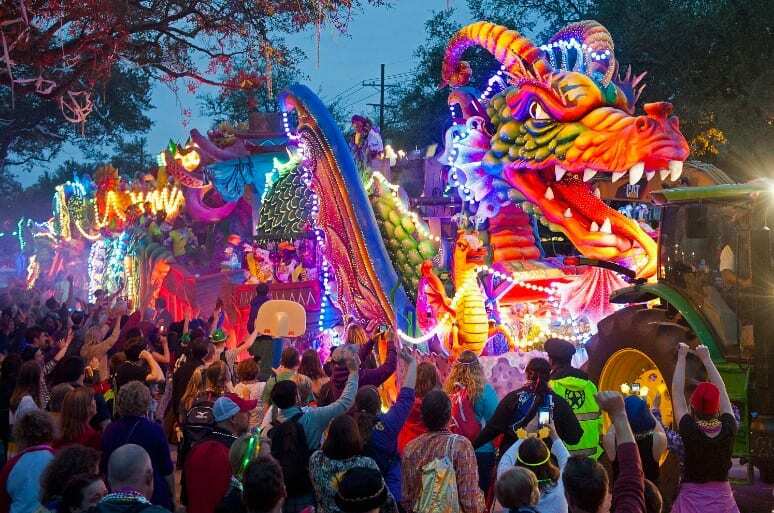 The floats will throw toys, Moon Pies, plastic cups, doubloons, and colorful plastic beads into the thousands of people in the audience. To finish off the event, there are so many parties to choose from you won’t know where to begin! Mardi Gras truly is a once in a lifetime experience. This festival is all about good conquering evil, and for 24 hours thousands of people come together to celebrate the Festival of Colors. The event is held following the full moon in March meaning the date will change every year. The entire day is based on people getting as colorful as possible. Strangers will douse each other with colored paints, as well as throwing colored powders over people in the street. There are also several of huge parties held all across the cities where people come together to dance and celebrate the day away. Holi is a festival that is all about letting loose and unwinding. People at this event are there to have fun! Please excuse us while we head off on an around the world trip to take in all these incredible festivals. The best part is, they all appear each year and are set to continue entertaining the millions for years to come. Where do we sign up?